2014 Christmas Shopping List: Martial Arts Equipment and Long Reads to Get you Through the Winter Months. Another year has come and gone, yet it seems that all of the eternal questions remain. What is the meaning of life? Is beauty purely subjective? How could it have possibly have dumped three feet of snow in the last three hours? What am I going to get that hard to please martial artist on my gift list? I have no answers for your more philosophical problems. At least not today. But if you are looking for martial arts books and gear to help you pass those long winter nights, this is the post for you. This years shopping list is split into four categories: books, training equipment, weapons (mostly sharp) and items of cultural interest. I have tried to select items at a variety of price points for each category. Some of the gift ideas are quite reasonable while others are admittedly aspirational. 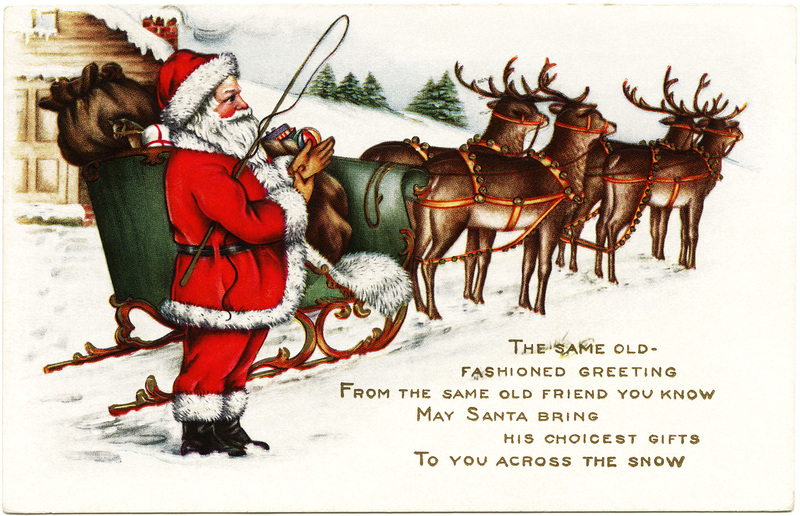 After all, Christmas is a time for dreams. Given the emphasis of this blog, most of these ideas pertain to the Chinese martial arts. 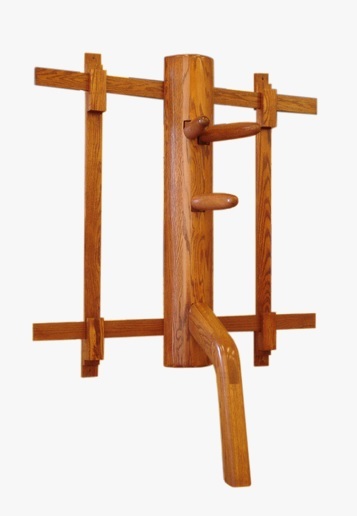 I have also tried to put at least one Wing Chun item in each category. Nevertheless, a variety of styles are represented, and with a little work many of these ideas could be adapted to fit the interests of just about any martial artists. As a disclaimer I should point out that I have no financial relationship with any of the firms listed below. This is simply a list of gift ideas that I thought were interesting. It is not an endorsement or a formal product review. 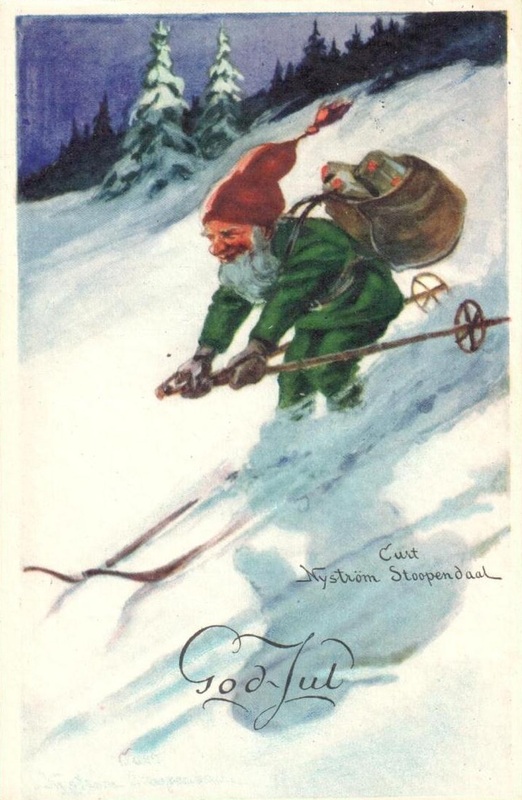 Lastly, I would like to thank my friend Bernard the “Kung Fu Elf” (see above) for helping me to brainstorm this list. I have said it before, and I will say it again. Books are the backbone of any martial arts gift list. It seems that there is always something and they are never the wrong size. This year is no exception. Regular readers will have noted that we discussed quite a few books, both academic and practical, on the blog over the last year. Here are my top three picks for southern Kung Fu fans. My first choice for this winter season is Tommy Gong’s recently published volume, Bruce Lee: The Evolution of a Martial Artist (Black Belt Books). It is available from Amazon and a number of other book sellers for $20 USD or less. Lee is an object of perennial interest for a large number of martial artists. In this volume Gong (a student of the late Ted Wong) presents a careful analysis of the evolution of Jeet Kune Do while weaving this (often neglected) technical discussion into a deeper investigation of certain events in Lee’s own life. 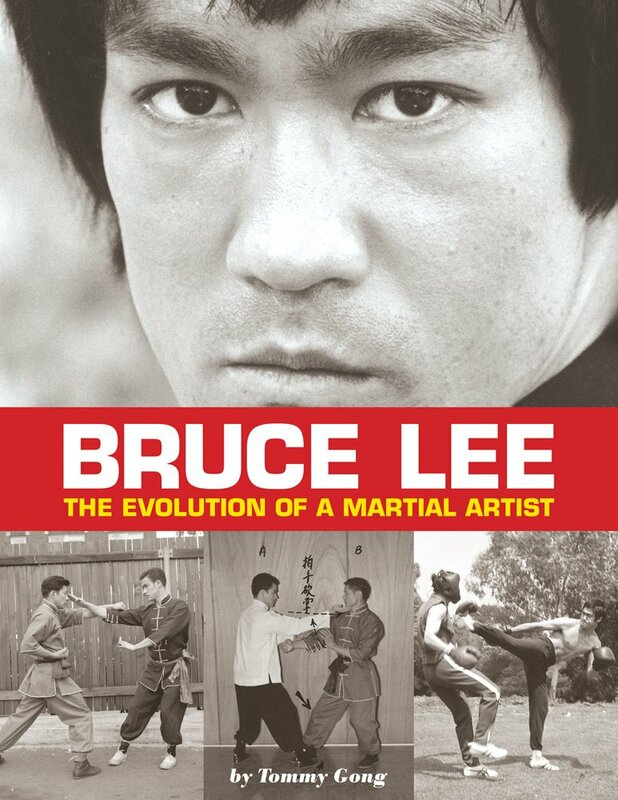 In short, this is the biography of Lee that many martial artists have been waiting for. Is it a perfect book? You can read my extended discussion of this project to find out more. Given Lee’s ongoing cultural relevance there are probably quite a few martial artists who would enjoying finding this under the tree. Next we have something for the Hung Gar fans. The second volume of Hing Chao’s study of Lam Family Hung Kuen has just been released. Both volumes in this series have turned out to be the sorts of high quality publications that anyone who follows the southern Chinese martial arts may want to have. You can find out more about them here. Unfortunately this year saw the passing of Chu Shong Tin. As one of Ip Man’s most senior surviving students, this was a real blow to the Hong Kong Wing Chun community. Luckily Chu left us with two detailed volumes of his thoughts, published in both English and Chinese. 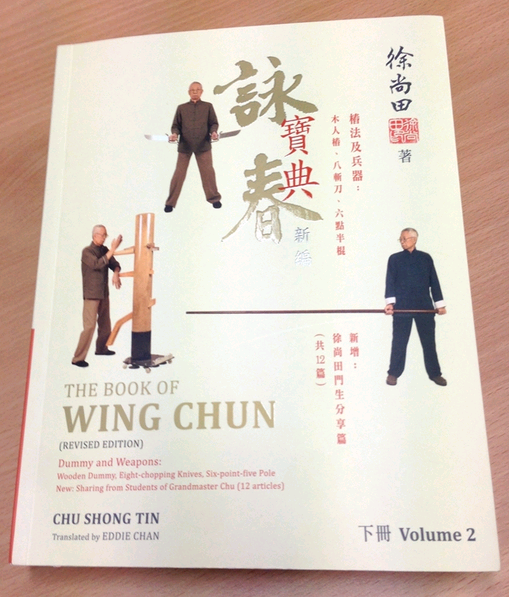 The first one outlines and discusses Wing Chun’s three unarmed sets, while the more recent released book tackles the wooden dummy and weapons. At $100 USD a piece these volumes are somewhat expensive. They can also be difficult to track down. Still, for Ip Man lineage students looking for a more detailed discussion of the technical practice of their art, they might be a solid investment. If you are anything like me you probably have a closet of swords and other traditional weapons stashed somewhere around your house. And you probably keep telling yourself that this is the year you are finally going to get all of that stuff organized. After all, what use is a collection of antique blades if they cannot be easily seen and studied? Display stands are another thing that you can spend as much money on as you would like to. Custom mahogany woodwork is never cheap, and the actual antiques can be pretty painful. Luckily for us there is a lot of mass produced stuff out there that is more reasonably priced. If you have a jian that you would like to display I have always liked this style of upright stand. At less than $40 it makes a statement and gets the job done. If (like me) you are facing a somewhat larger organizational task, you may want to take a look at something more substantial. This next rack is free standing and it holds up to ten items. If your budget is a little larger you might be interested in finding some steel to display in these racks. 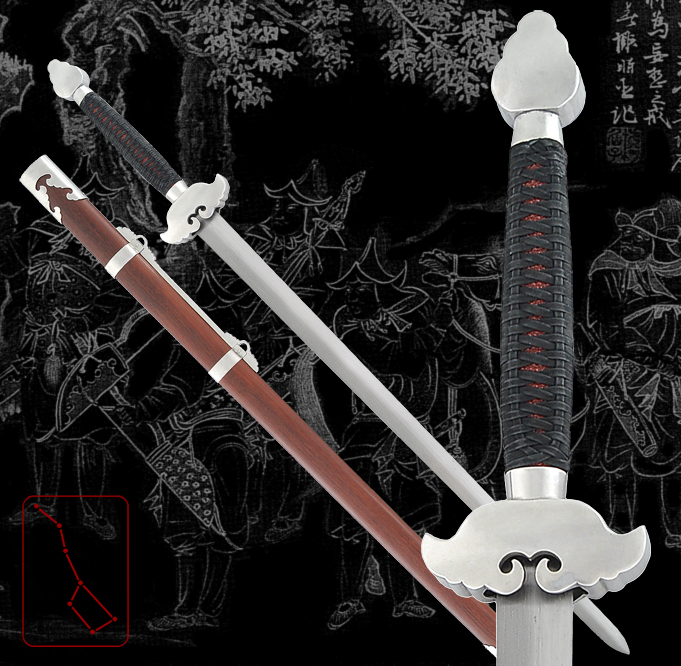 Practitioners of the Filipino arts will want to spend some time reviewing the wares at “traditionalfilipinoweapons.com.” They attempt to offer their customers the best of both worlds by selling hand produced weapons made with modern steel blends (5160/D2). For the Wing Chun student they offer a reasonably historically correct reproduction of 19th century “war era” hudiedao. These look and feel different from the butterfly swords that are most commonly used now, but I have always found them to be very interesting. If you like any of this stuff, they will be running a pretty large “Cyber Monday” sale. Check out their Facebook group for details. Other students of the Chinese martial arts might be looking for something a little more traditional. 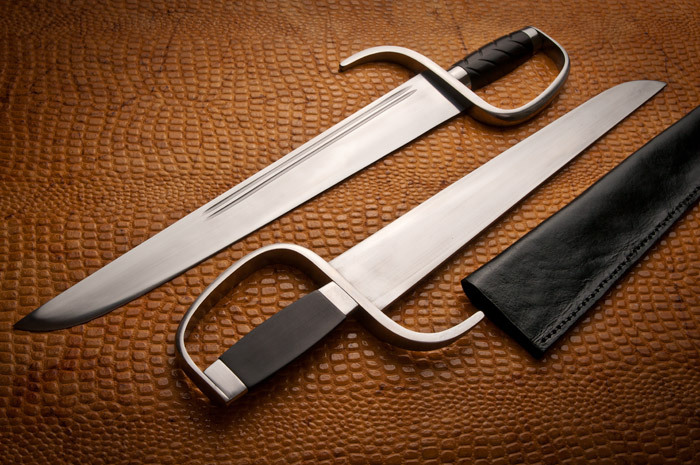 Those interested in the growing field of “practical cutting” within the Chinese martial arts would do well to check out some of Scott M. Rodell’s offering at the Seven Star Trading Company. I am particularly excited about his Cutting Jian. This looks like a very tough, no-nonsense sword that has undergone extensive testing. I really like the plain furniture on this model. Right now these are on sale for $289 USD. Practical cutting within the Chinese martial arts is one of those subjects that I am always interested in pursing, but never quite seem to have the time to delve into it. Maybe this next year will be different. Readers should also note that there is a “cutting dao” (produced by Huanuo with more elaborate gold furniture) on the same site. It is more expensive at $485. Still, a lot cheaper than the antiques. Those looking for training gear this season have no lack of options to choose from. There are also some really good deals on this sort of equipment during the holidays if you keep your eyes open. Here are a few things that I have been thinking about recently. When was the last time that you heard a Kung Fu student say that they just had too much “Dit Dat Jow”? Never right? This sort of “hit medicine” is used in various schools of iron palm training. Students of the Chinese arts also use it as a general lineament to treat the sorts of bumps and bruises that naturally occur during conditioning drills and sparring. But have you ever thought of brewing your own Dit Dat Jow? 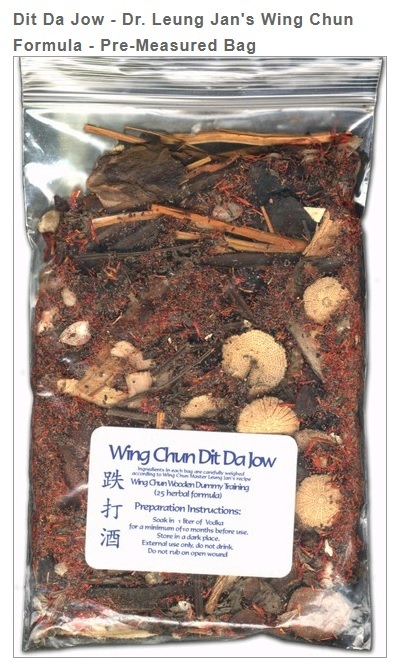 With this herb mix from everythingwingchun.com, now you can. This seems like another fun project to try out in the new year. Like many TCMA students I had used heavy bags for specific exercises in class, but it had never been a central feature of my training. All of that changed about twelve months ago when I began to make bag work a much larger part of my own personal training. I like the results and I love the work out that you can get doing rounds. There are lots of different styles of bags out there, from traditional Chinese models to the standard boxing heavy bag. But given the importance of low kicks in Wing Chun I really like this style of hanging bag developed for Thai Kick Boxing. These things take up enough room that not everyone will be able to easily integrate them into their training spaces. Still, I find them to be a great training aid. Of course no holiday shopping list would be complete without a few words on wooden dummies. Earlier this year I was lucky enough to set up a new wooden dummy. Now I am looking at a possible move and I am not sure how large my personal training space will be at the new place. This has gotten me looking into some of the “space saver” options out there as I do not want to go back to life without a jong. Someone who needs a compact dummy may want to check out this offering produced by Shaolin House and sold by Everything Wing Chun. It looks nice, is solid wood construction and is fairly low profile. I also appreciate the fact that it still has a full leg. At $500 its also less than half of the cost of its full sized brethren. Of course those with a little more space and money might want to research some of the more “aspirational” Buick Yip models. As I mentioned in the previously linked post, I am a sucker for the symbolism of the recycled “temple pillar” models. Wing Chun: A Documentary is produced and distributed by Empty Mind Films. It was directed by Jon Braeley. Not every gift idea needs to be practical. I think some of the most interesting possibilities explore the mellieu of the martial arts rather than their actual practice. These sorts of items also have the advantage of being fairly flexible and not too closely tied to any one school or style. That sort of flexibility can come in handy when shopping for the hard to please martial artist. One of the most versatile ideas on this years list is the gift of a custom chop or ink stamp. 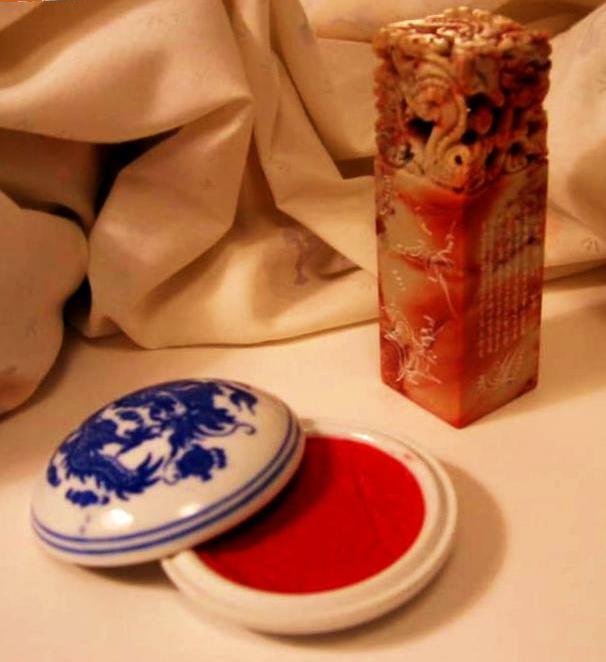 These objects were traditionally used in both China and Japan to formally sign documents. A number of firms and traditional artists can produce highly customized examples featuring both carving on the body of the chop as well as a personal name, school name or even logo on the striking surface. Again, prices can vary widely depending on the reputation and skill of the individual that creates the stamp, but its not hard to find moderately priced examples. Be sure you order these soon as different companies might need some time to process your order. Well produced documentaries can transcend the merely informative and become visually stunning works of art in their own right. These films also make great, moderately priced, gifts. One of my favorite production companies is Empty Mind Films. They consistently turn out thought provoking, beautifully produced, work. Most of their films are on sale for less than $20 USD and they have something for pretty much everyone. 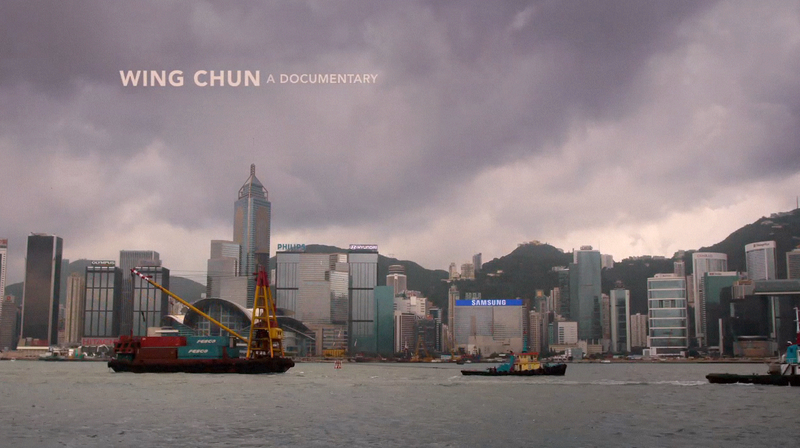 Wing Chun students will want to check out their documentary on the Hong Kong WC community. You can read my review of this film here. They also have a couple of documentaries looking at Taijiquan and other Chinese martial arts. Nevertheless, the film that I am most excited about right now is “One Shot One Life,” a visual exploration of the world of traditional Japanese archery. As most of you know, I am interested in the ephemera that accompanied the globalization of the traditional hand combat systems. Occasionally this stuff even takes on a “found art” quality. It can looks good on the walls in addition to being an artifact of the spread of our traditions. 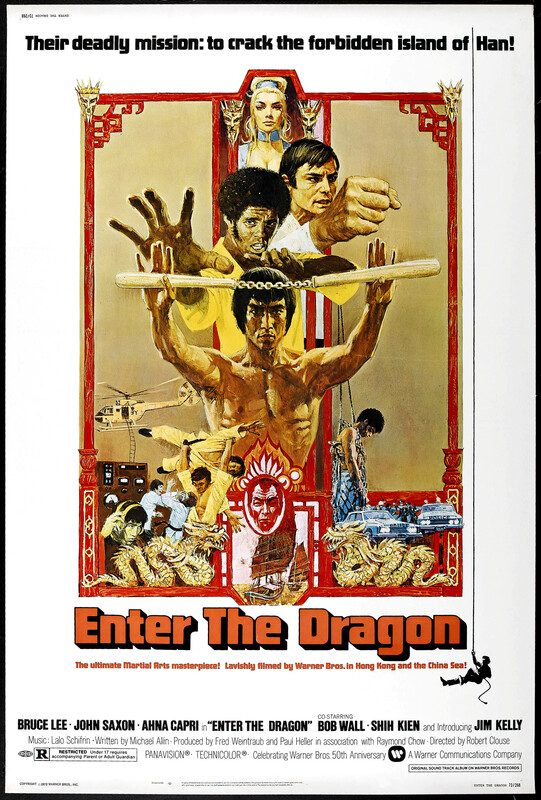 Individuals looking for something slightly “retro-industrial” might want to consider investing in vintage Kung Fu movie posters from the 1960s-2000s. Lots of this stuff is quirky, some bits are nostalgic, and occasionally there are even glimmers of good commercial design. Of course these posters are also nice as many of us feel that we have a personal relationship with these films. Again, prices are variable. Reproductions are always cheaper than the real thing. An original “Crouching Tiger Hidden Dragon” poster will set you back about $60 USD. An vintage “Enter the Dragon” example in good shape will start about $600. Both look great in a den or training space. A Chinese Seal and Ink. Source: Wikimedia. I hope that this post has given you some ideas for your holiday shopping. Those wishing to delve a little deeper might also want to check out the 2013 and 2012 gift guides. What sort of exciting ideas have you discovered? Feel free to drop a note and a link in the comments below. Happy Hunting!